Pianist and composer Andy Stamatakis-Brown has been announced as the 2017 recipient of the Irwin Mitchell MJF Originals commission. 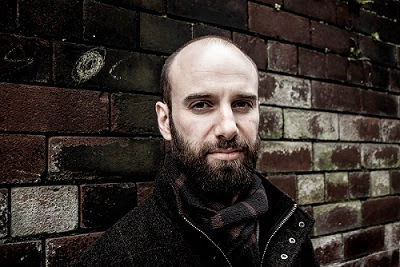 His work, Cottonopolis, will be premiered at this year's MJF which takes place between 28th July and 6th August. His winning concept for mjf originals – entitled ‘Cottonopolis’ – will explore other iconic aspects of Manchester’s colourful past; its role as the power-house of the industrial revolution, and as the happening heart-beat of the dance music scene. ‘Cottonopolis’ will bring the noise and clatter of a 19th century mill and the excitement and atmosphere of a contemporary club night to manchester jazz festival. The ensemble, drawn mostly from the Manchester Jazz Collective, will showcase the variety of talented players on the Manchester scene. This exceptional, night-long experience of weird and wonderful entertainment will take place in a surprise location in Manchester, with DJs from Space Cassette, and archive and live video projections – developed by Blain Cousin and Ric Lowe from Norvun Devolution – providing an evocative backdrop to a truly immersive and unforgettable experience. For more information, visit the MJF website.